Starting September 16, we will gather for worship on Sunday mornings at 9:00 AM and 11:00 AM. This shift makes it possible to provide a long-sought adult education time between the services. Rev. Shirley is thrilled with the collaborative discussions between music, faith formation, youth and children’s ministry, and vestry that made this advance possible. While we enjoy the one-service Sunday approach during the summer, we need to multiply into two in the fall to make room for everyone (including the new people God continues to bring us) and to accommodate children’s needs for Sunday School. A multi-generational family requires a lot of listening to one another and adjusting to meet one another’s needs. We’re proud to be this kind of church family together. We want to hear from you! Share your stories and we'll include them in our 25th Anniversary Celebration. 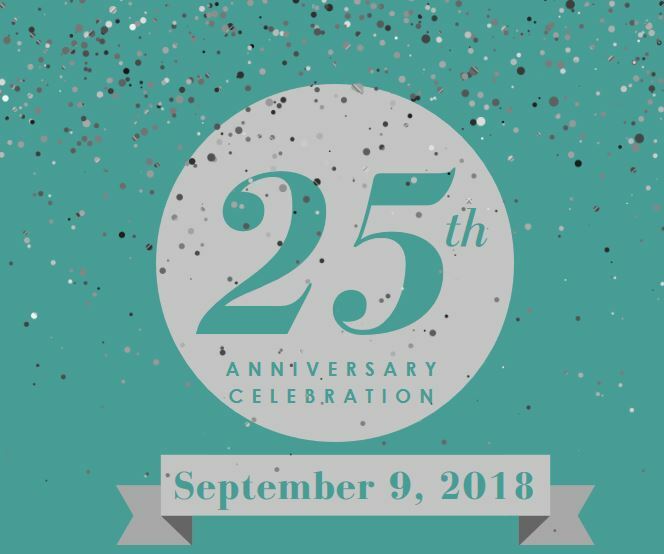 Christ Church was established on September 12, 1993 with the goal of being “a new beacon” for those disconnected from the church. Our mission to be an inviting, growing, and living presence in our community has grown to include the vision of serving others, nurturing spiritual formation, and providing radical hospitality near and far. On Sunday, September 9 , we will honor our past, celebrate our present, and look to the future. Our celebration begins in worship at 10:00 AM, followed by a catered picnic lunch on the lawn. Mark your calendars, make plans to join us for this special day, and stay tuned for more details! Christ Church has been inviting, growing, and serving for 25 years and we want to hear from you! Whether your favorite memory happened in the 90s or happened last week, we hope you'll make time to share it with your church family. We'll be collecting these stories to share as part of our 25th Anniversary Celebration on September 9. We are also gathering wishes for the future -- what hopes do you have for our beloved Christ Church? Let us know! Pick up a sheet in worship, write out your memories and wishes, and bring it back to church. Sheets will be inserted into this weekend's bulletins or you can click here to print one at home: Memory or Wish. Email your memories and wishes to communications@ccerva.org. Have a photo you'd like to share? Attach that, too! Use this text box to submit your story! We'll compile these stories and share with everyone at the celebration. Thanks for sharing! A favorite mission here at CCE is our annual schools supplies drive for our dear little friends at George Mason Elementary School. And if you shop this Fri-Sun, you won't pay any sales-tax ! Click here for a shopping list or pick one up at worship this weekend. Please bring your donated school supplies to worship by August 26 and make plans to join us that day as we offer a special blessing over these supplies, as well as your own backpacks, laptops, workbags, etc. We invite all students, teachers, professors, administrators, and those heading off to college will bring their own items as we offer a blessing for the start of a new school year. New expanded Handicap Parking: Drive up for some radical hospitality! Parking may not seem like radical hospitality, but … if you’re a person whose mobility is limited and one of the highlights of your week is coming to church, having accessible handicapped parking feels like God is preparing a place for you. And that’s what we want people at CCE to feel like. We’re in the process of expanding our 6 current disability spots to 10 spots to respond to current and growing needs. Join us in giving thanks to God for this enhancement as we continue to make a way for all to be welcome. Joshua Crawford is heading to Averret University next month. He is a recent graduate of Richmond Hill's Armstrong Leadership Program, which trains and develops inner city youth, preparing them for success during and after high school. 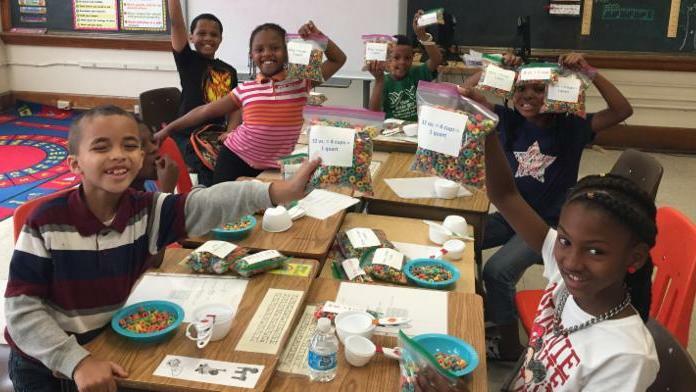 At Christ Church we are called to live and love more like Jesus every day and we are committed to supporting organizations that enhance educational outcomes. We are blessed to support the Armstrong Leadership Program and hope you can help in supporting one student in a very special way. This Sunday, August 5, CCE will host a "Deck out the Dorm" party for Joshua. If you are able, please consider purchasing an item from this young man's "wish list." Your generosity will help him have all he needs to succeed at school! Click here to visit Joshua's Target Gift Registry and use "Joshua Crawford" in-store access his wish list. Contact Kay Holmes with any questions. "When we care for the whole person, we often transform not just a single patient’s life, but the lives of entire families and communities." The mission of CrossOver Healthcare Ministry is to to provide high quality healthcare, promote wellness, and connect community talents and resources with people in need in the name of Jesus Christ. Kristen Lafayette will share more about this vital ministry in our region and answer any questions you may have. Please join us! STEWARDSHIP FAQ: "With the new change in tax laws, should I still gift stock to CCE?" ANSWER: The new law substantially reduced the number of taxpayers who will benefit from itemizing deductions, including deductions for charitable donations. Still, the new law keeps the charitable deduction in place for itemizers. But there is still an advantage to gifting stock. If you own stock for more than a year and it has appreciated in value, then you can avoid paying capital gains tax on the appreciated value of the stock (even if you will not itemize). And if you are an itemizer, you can include the market value at the time of the transfer. Christ Church will not owe taxes on the stock either. We can take the stock and either sell it right away and not pay any tax, or we can hold on to it—but we will never owe capital gains tax on the appreciated value. This is part of an ongoing series sponsored by our Stewardship Ministry Team. Please run all information by your financial advisers for added assurance and stay tuned for the next FAQ! 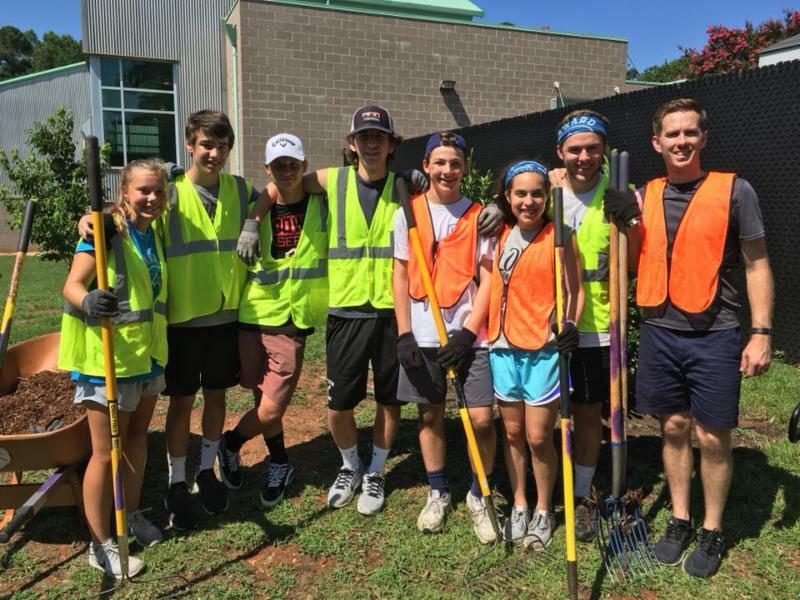 Our Senior High Mission Team has returned from their trip serving the people of Raleigh, NC. Thank you for holding them in your prayers and look forward to hearing a post-trip proclamation from the students in worship this weekend!